No matter what vehicle you are looking for, you can get professional advice from Richard Ough Motor Services in Saltash. With a wide range of vehicles to choose from, you will not be stuck for choice when looking for your next set of wheels. Take a look at our high class selection of vehicles and pick one that fits your requirements. With more than 30 years of experience you can rest assured you are getting the finest advice in the industry. If you already own a car and need help keeping it on the road for as long as possible then simply get in touch. All of our used cars come fully serviced with all paper records and clean for your use. 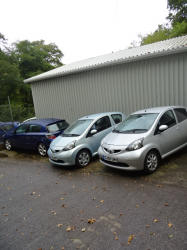 Get in touch to find out more about used cars in Saltash by calling 01752 846 197 or 07876 806 133.